Hurricane Harvey pushed ashore last Friday, August 25th, the first category four hurricane to hit Texas in many years. Sharing part of its western border with the Gulf of Mexico, Texas has been pummeled by many hurricanes, some especially vicious. When and where have other devastating hurricanes landed in Texas? 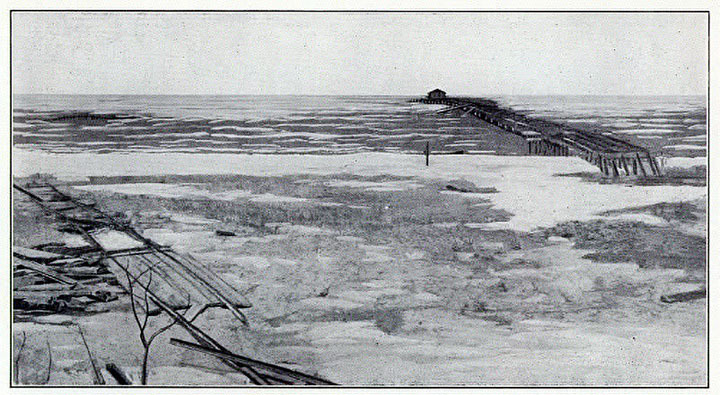 In the 1800’s, Indianola, TX was a thriving seaport on Matagorda Bay, located in the area of present day Victoria, TX. 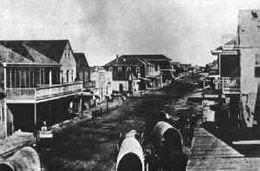 Indianola competed with Galveston for supremacy in shipping and trade. Also, many immigrants to the U.S. disembarked at Indianola, most notably German immigrants making their way to the western lands. 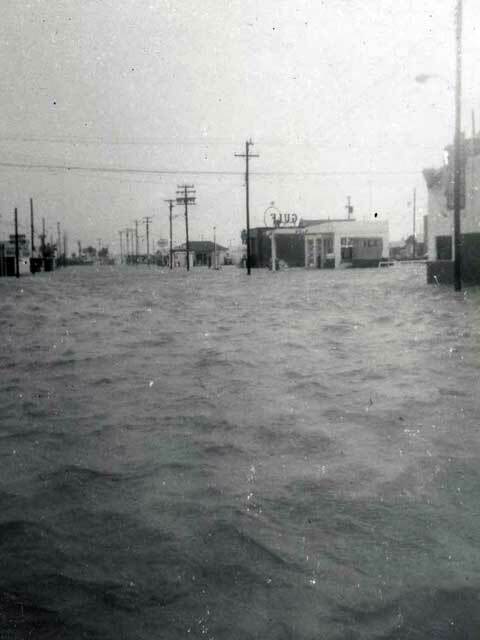 In September of 1875, many visitors filled the city to witness an important trial when a hurricane with 100 MPH winds pushed the waters of Matagorda Bay into the city. 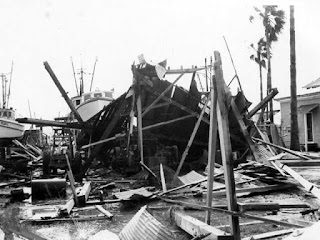 The storm lasted two days, left only eight buildings undamaged, and took approximately 270 lives. The city and port recovered but not to the same level of greatness. 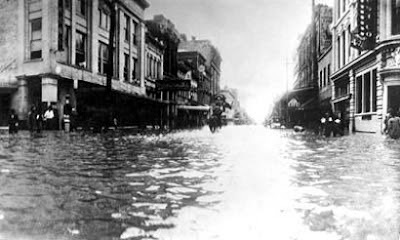 In August of 1886, another hurricane of equal strength hit the port city, completely destroying it with water and fire. Indianola became a ghost town. Late on September 8, 1900, a category 4 hurricane, with winds of 130 MPH came ashore south of Galveston and sent storm tides of 8 to 15 feet across Galveston Island. Approximately 8000 people died, although estimates range from 6000 to 12,000 lives lost. No other weather disaster in U.S. history has been as deadly. Property damage was estimated at $30 million. The hurricane went north over the Great Lakes and Canada and emerged in the north Atlantic on September 15th. 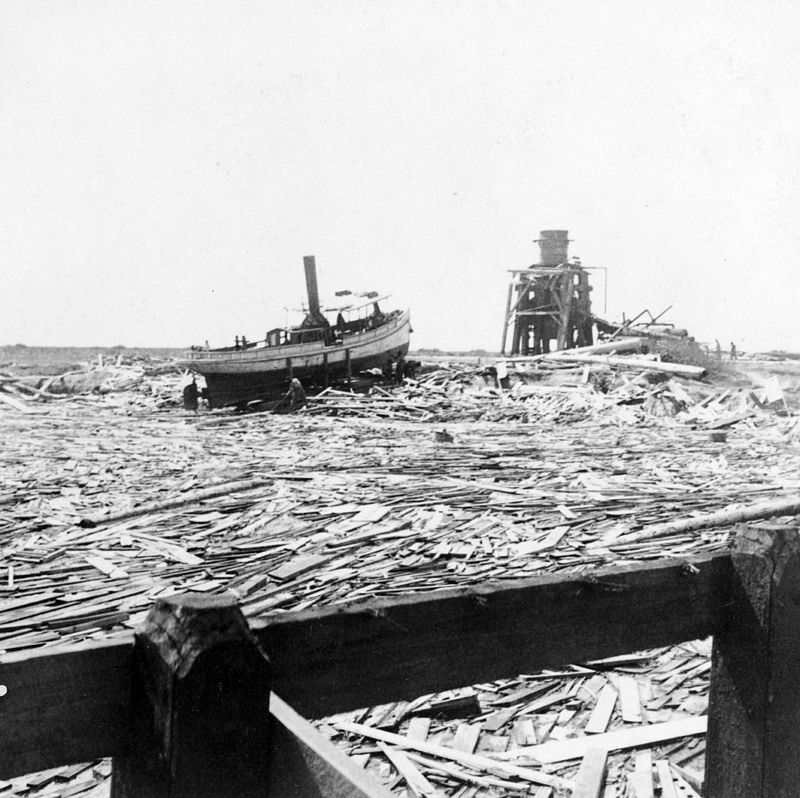 In August of 1915, another category 4 hurricane, but with winds of 140 MPH, spun ashore at Galveston, causing 275 deaths and $50 million of damage. 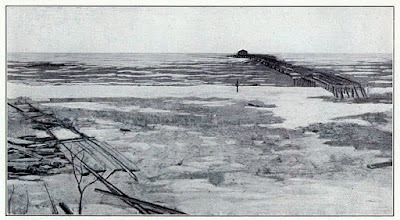 The recently built seawall protected many lives. On September 14, 1919, a category 4 hurricane, with winds of 140 MPH, hit the coast south of Corpus Christi, causing a storm surge of 12 feet and swamping the city. Before moving into Mexico, the hurricane left $22 million in damage and 284 deaths. 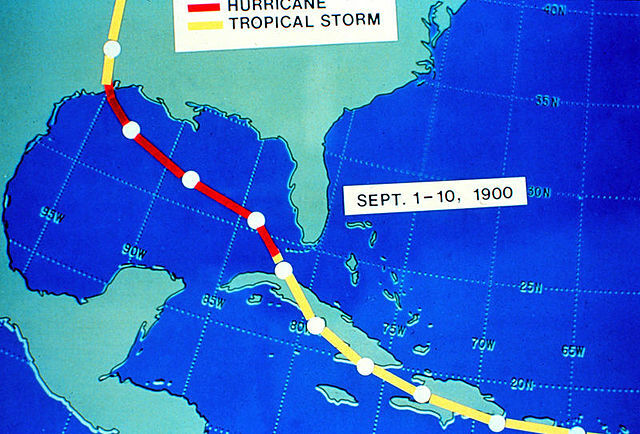 Robert Simpson, a young man who survived the storm, later became the director of the National Hurricane Center and co-founded the Saffir-Simpson Scale. This hurricane is classified as the third most intense to land on the U.S. coast. 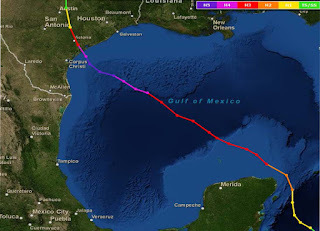 On June 27, 1957, Audrey came ashore at Sabine Pass, near the Texas-Louisiana border, as a category 4 hurricane with wind speeds of 145 miles per hour. The storm took 390 lives in Texas and Louisiana. Storm surges of 8 to 12 feet pushed water 25 miles inland in Louisiana. 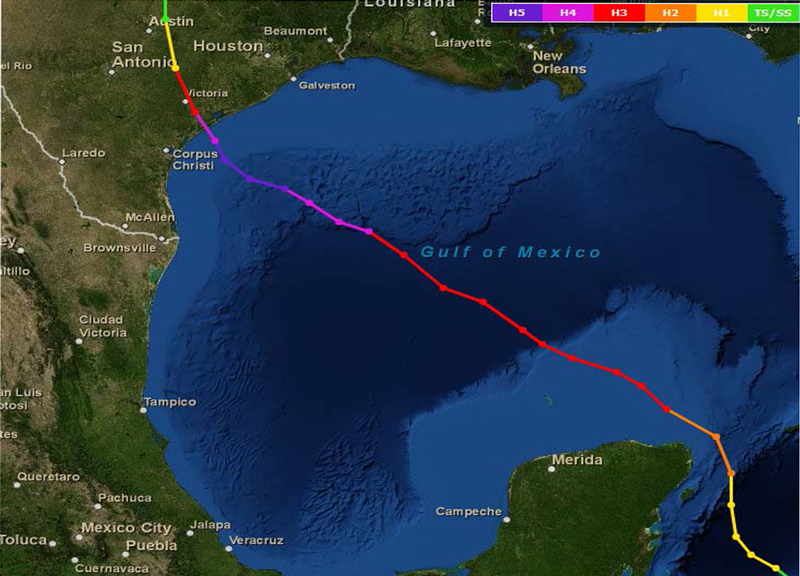 Early on the morning of September 11, 1961, Carla became a category 5 hurricane, with winds of 175 miles per hour. In the afternoon, her winds dropped to 145 miles per hour, and her eye passed over Port O’Connor and Port Lavaca. Prior to landfall, a mandatory evacuation was issued, and half a million people made their way to safety—the largest evacuation in U.S. history up to that time. Tides of 15 to 17 feet above sea level devastated Port O’Connor, Indianola, Palacios, and Matagorda, and the storm surge continued inland for 10 miles in places. Eighteen tornadoes formed, including an F4 in Galveston. The category 4 storm was responsible for only 46 deaths, but 465 injuries. Have you survived a hurricane and have a story to tell? 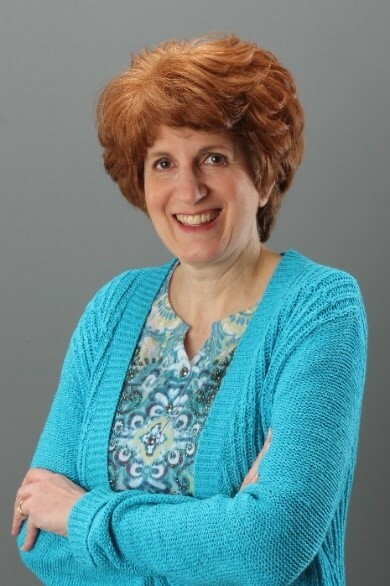 Cindy Stewart, a high school social studies and language arts teacher, church pianist, and inspirational historical fiction author, semifinaled in the American Christian Fiction Writer’s 2017 Genesis contest, and won ACFW’s 2014 First Impressions writing contest in the historical category. Cindy is passionate about revealing God’s handiwork in history. She resides in North Georgia with her college sweetheart and husband of thirty-six years and near her married daughter, son-in-law, and three adorable grandchildren. She’s currently writing a fiction series set in WWII Europe. I've never been in a hurricane. Thanks for sharing the history of hurricanes in Texas. Hi, Marilyn. Thank you for stopping by. I've been through 2 hurricanes in North Carolina. Even though we lived 100 miles from the coast, we were hit with tropical storm force winds as the eye passed through our area. I've never been in a hurricane and don't want to be. Prayers for the great state of TX. Hi, Connie. I know the folks in Texas are thankful for your prayers! Thank you for commenting. Thanks for sharing this. I've never been in a hurricane, either. Hurricanes are so terrible. In our part of Texas we deal with tornadoes but down South they sometimes have both. I have never been in a hurricane and I cannot imagine what the poor people in the Houston area are having to deal with. Thank you for sharing, Melanie. In spite of the devastation in Houston, hasn't the spirit of the people been inspiring? I live in OK. We've never experienced a hurricane here, although we have had heavy rains in the aftermath. We get bad storms and the occasional tornado, which can wreak havoc, but at least they come and got quickly. Hi, Vickie. I don't envy your experiences with bad storms and tornadoes in OK. I was in one small tornado in college, but it came and went so quickly, we didn't know what had hit us until later. The tornado took out a small section of the roof and ceiling of the auditorium where we were meeting. It was definitely a unique experience. I grew up along the Texas Gulf Coast near Galveston. Until Harvey came through, I've never been in a flood. We had minimal damage in the house. The National Guard evacuated us out Thursday night. We are now about 30 minutes from the house without transportation. The Lord had His angels around us. The Lord will work in this situation for my good. I have been able to save books that were not already in tubs. I'm trusting the Lord to take care of the rest. Caryl, I'm so sorry you were forced to evacuate your home in Texas. Do you live near a reservoir? Please let us know what happens and whether or not you're able to go home. Blessings on you and your family.